What Makes a Sculpture Monumental? Stonehenge: Ancient Monumental Sculpture or Nature’s Oldest Anomaly? What’s New in The World of Sculpture? 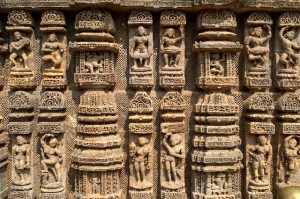 Stone sculpture is a widely regarded and respected art form in India, South Asia, and many works of Indian sculpture have been named World Heritage Sites by UNESCO, in the hopes that they will be preserved for many years to come. Here are some of the most impressive stone sculptures in India. 1913’s Nobel Prize for Literature winner, Rabindranath Tagore, said of the wall carvings around the Sun Temple: “Here, the language of stone surpasses the language of man”. 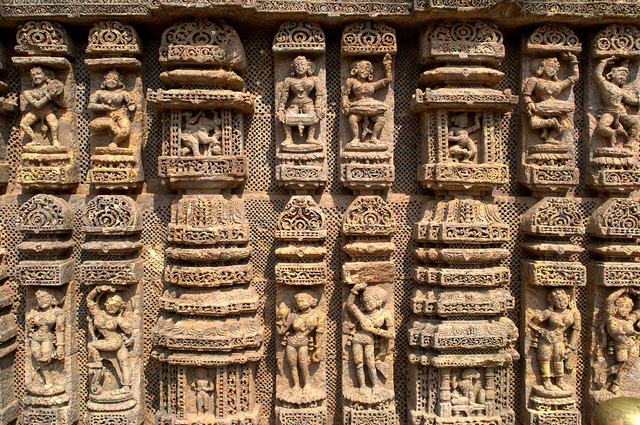 Such is the beauty of these carvings, which depict the various cultural celebrations and traditions of the time. In one of the oldest, if not the oldest, forts in India, there is mention of the Kangra in the war memoirs of Alexander III of Macedon, also known as Alexander the Great. The fort suffered dramatic damage during an earthquake in the year 1905, though it still stands in its original place in the Himachal Pradesh. The first addition to our list which also doubles as a UNESCO World Heritage Site, the Qutab Minar is the tallest stone tower in the country. It is made of red sandstone and marble, stands at over 72 metres high, and it’s 379 steps are decorated with different carvings and inscriptions. On the fourth level of the tower, there is calligraphy which has been the topic of much discussion for it’s beauty. The most recently completed addition to the list, the Akshardam temple, which is the largest Hindu temple in the world, only opened in 2005. The temple has been carved from pink sandstone and marble, and has been affectionately referred to as the ‘8th Wonder of the World’. Included in the structure are 234 intricately carved pillars, 9 domes, 20,000 idols, and 148 life-sized elephant statues, each weighing over 20 tons.